JULY 2011: a paper to be publish soon in "Advanced Materials"
Thanks to extensive research on brain devices based on cooperation between BEL Lab (BioELectronique lab of Ecole Nationale Supérieure des Mines de St Etienne) and U INSERM 751 located in la Timone University Hospital of Marseille, Microvitae publishes advances on conductive polymer probes developpement for brain activity recordings. "Plastic neuronal probes for implantation in cortical and subcortical areas of the rat brain"
On 1srt March 2011, the French LEN/G-MED, deliverd the ISO 13485 to Microvitae for its Quality Management System in the field od Evoked Potentials (Brainstem Responses) devices. 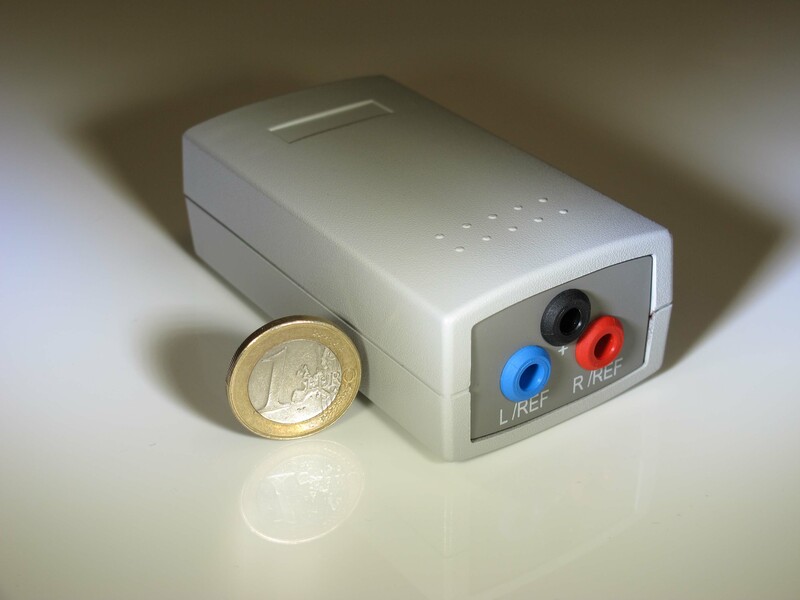 On 1srt March 2011, LNE/G-MED, French notified orsganism, delivered EC certificate of Microvitae µV-ABR system dedicated to recordings of Auditory Brainstem Responses, thus allowing its commercialization in Europe. At the beginning of 2011, the company placed on the medical market and awarded the ISO 13485:2003, which propels it toward the commercialization of medical devices. The site was redesigned to reflect this important change in society Microvitae Technologies. However Microvitae, is a company resolutely turned towards R&D and technological innovation. Since its inception, Microvitae Technologies was an innovative company offering services in R & D and prototyping systems to measure pulmonary function based on microtechnology. She has had as partners the University Hospital of North-Marseille, Grenoble University Hospital, University of Clermont-Ferrand, FORENAP Institute, Evangelismos Hospital of Athens, University of Marburg, CERTH of Thessalonique and private companies for which she designed prototypes. This activity continues through projects and partnership in progress (see page RESEARCH). This is a continuation of its program of innovation coming from the gain of the National Competition in Business Creation was a key element of its foundation.